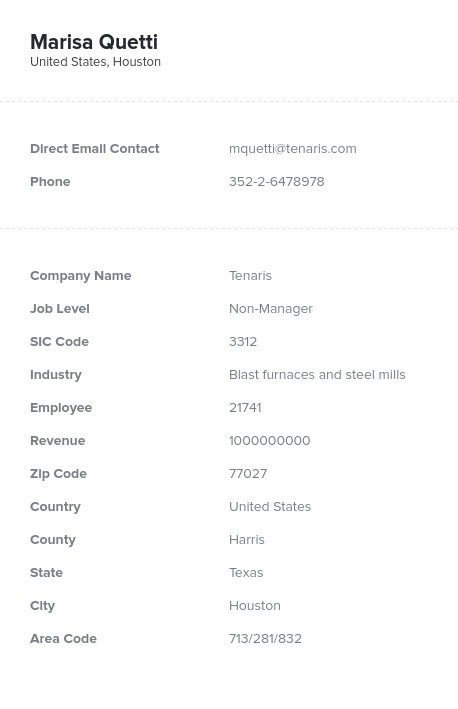 The most important element of any marketing campaign is a reliable contact list, and with this primary metal production email database, you'll be able to easily sell your products to companies that make steel wire, sheet metals, copper and aluminum products, and other nonferrous metal goods. Every day, companies work hard to turn metallic ores into useful products, and in the process, they use a lot of specialized equipment. If you have a product or service that can help them with this demanding work, they'd certainly love to hear about it. Get in touch with important contacts in the nonferrous metals industry and cast your products in the best possible light using this primary metal manufacturing email list and you'll be well on your way to hammering out more deals. In business, time is money, and that's why we aim to save you both with this metal production mailing list. We've compiled all of the sales leads you need in one pre-built, comprehensive resource that you can download and start using right away. And you won't waste time on dead-end pitches, since we regularly double-verify each email marketing list we sell to ensure that it's accurate. We go the extra mile to remove outdated and incorrect data so that you get only accurate, usable names, phone numbers, email addresses, job titles, company details, mailing addresses, and more. Stop digging for leads and start marketing your products in the metals industry with this list and get results!